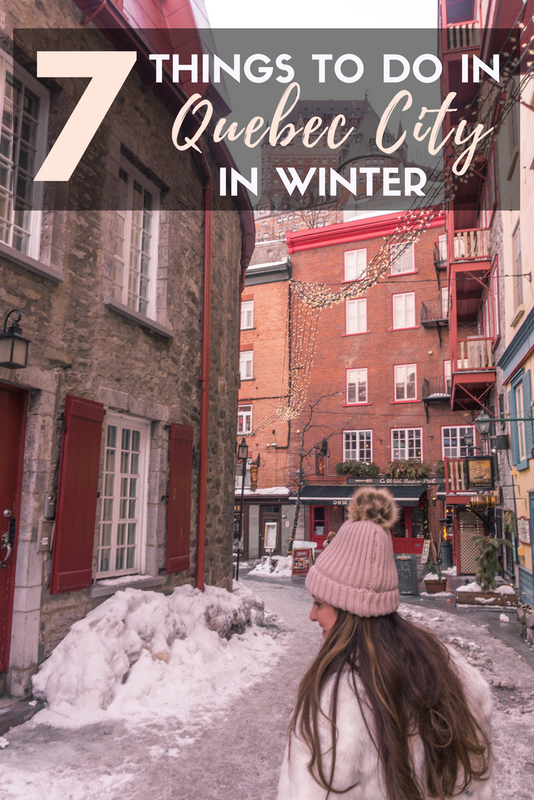 Quebec City during the winter months is a true winter wonderland. 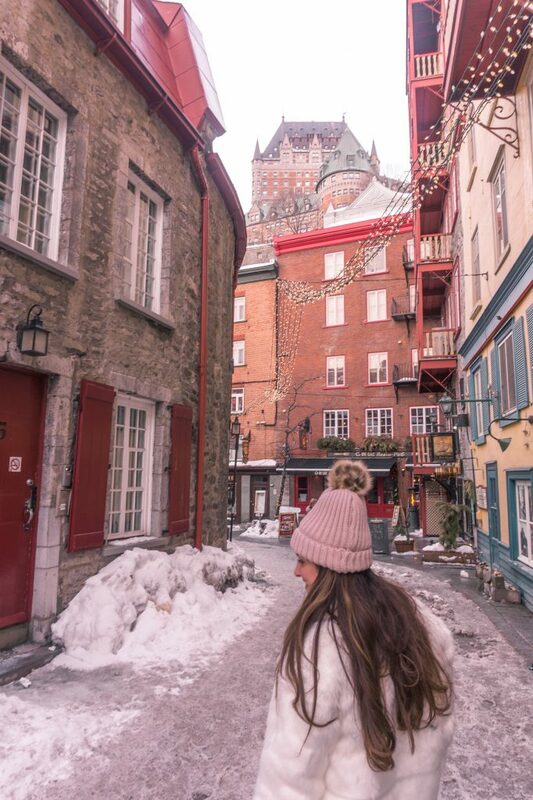 Located in the land of Narnia (otherwise called the Province of Quebec in Canada), Quebec City is a magical place full of twinkle lights , maple pancakes and lots of snowflakes. 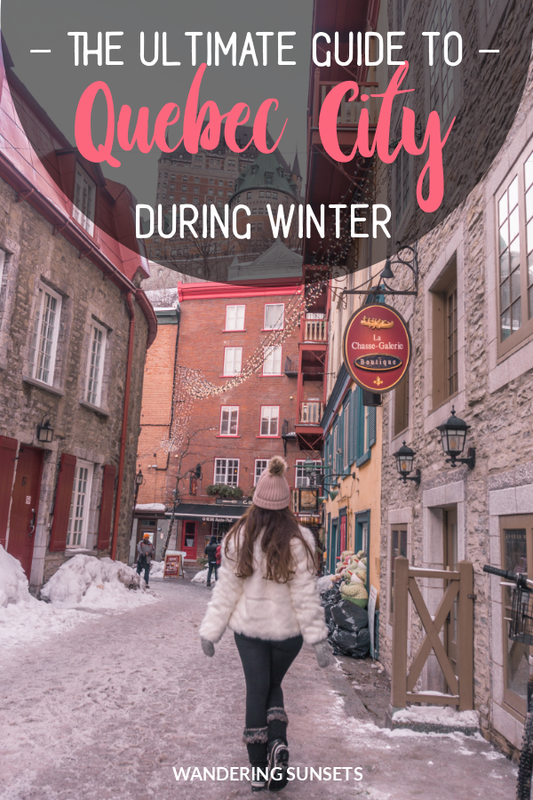 I fell in love with everything about Quebec City: The charming cobblestone streets and historical buildings, the slower pace of life, the mouth watering dishes we sampled… Many people visit Quebec in summer when the temperatures are much warmer but I found the city incredibly beautiful in the winter. 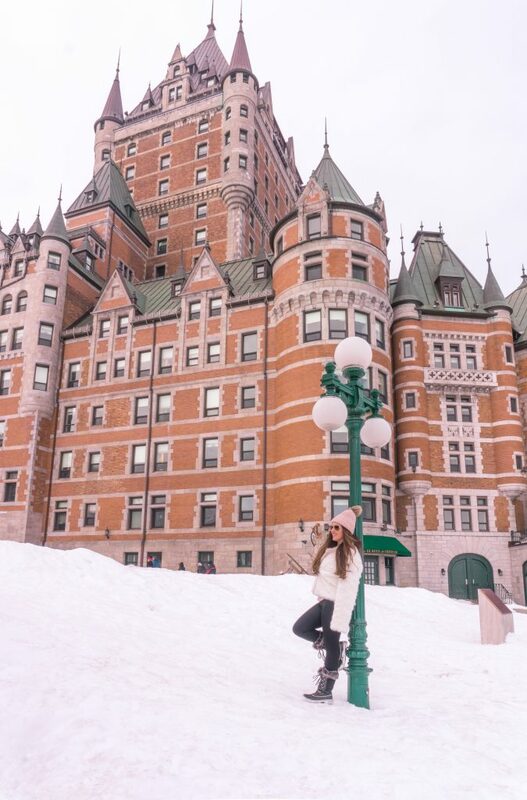 Here are 8 things to do in Quebec City in Winter for the perfect Quebec winter weekend. 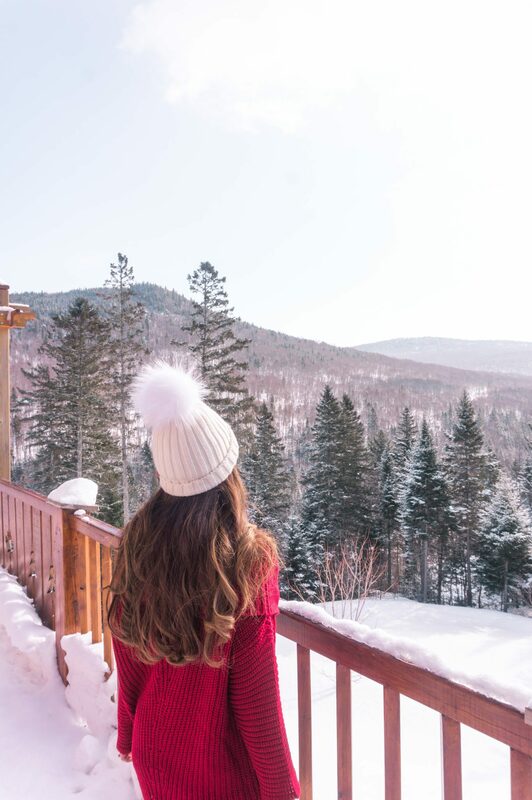 Staying at Le Chateau was an absolutely incredible experience, which will make your weekend in Quebec memorable. 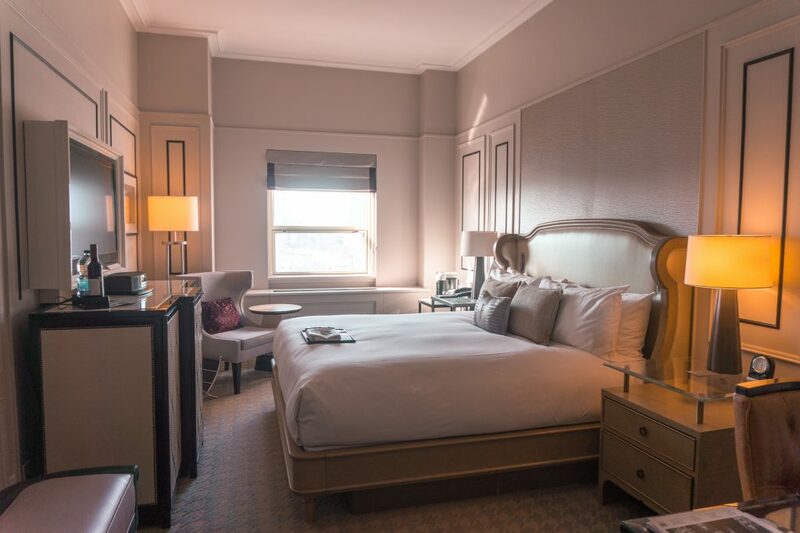 We were incredibly lucky to stay on the Fairmont Or floor in this gorgeous room with sweeping views of Old Quebec. 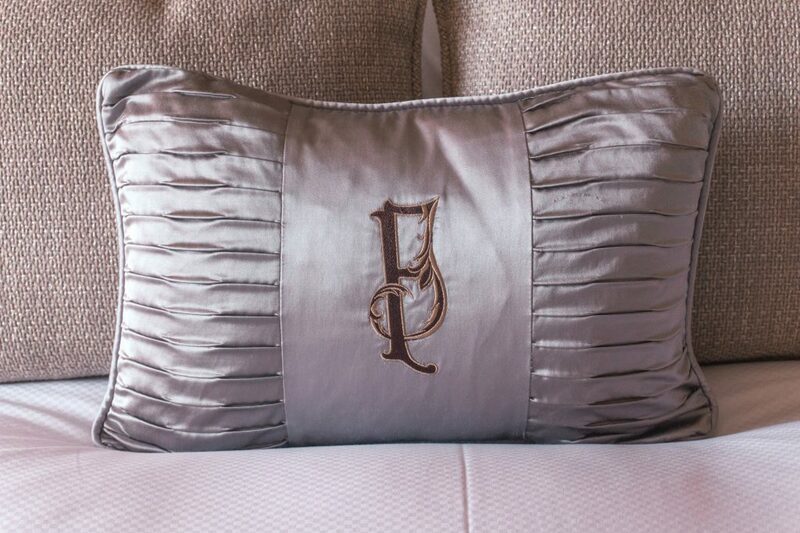 At the Fairmont Frontenac, everything is in the details. Soft classical music is playing as you enter your room making you feel instantly welcome and relaxed. 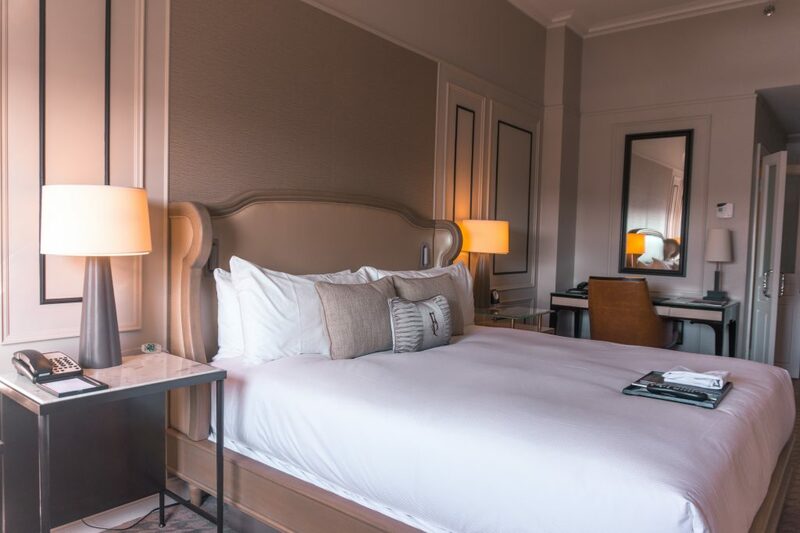 The plush bed is soft and airy so you can fall into the most comfortable sleep after a long day exploring the city (especially if you are like me and sampled the local food and wine… I slept like a baby and never wanted to get up!). 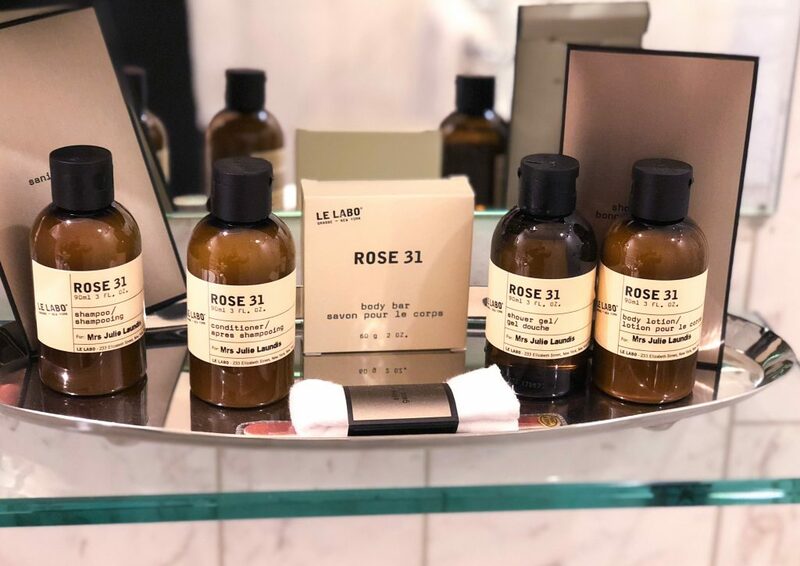 I walked into our marble bathroom to find the cutest toiletry tray full of products from Le Labo. What an amazing treat! The toiletries might be a small detail but I always notice it when the hotel takes the extra step to make your experience even more special by providing high quality products. The hotel also has some really fancy cocktail bars and restaurants. 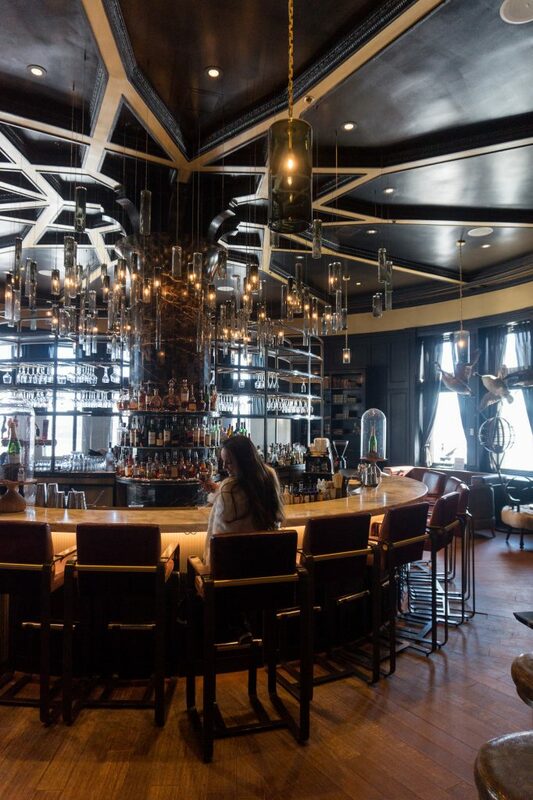 If you feel like dining in one night, you have plenty of options. The bartenders who are some of the best in Canada are crafting custom cocktails based on your taste. 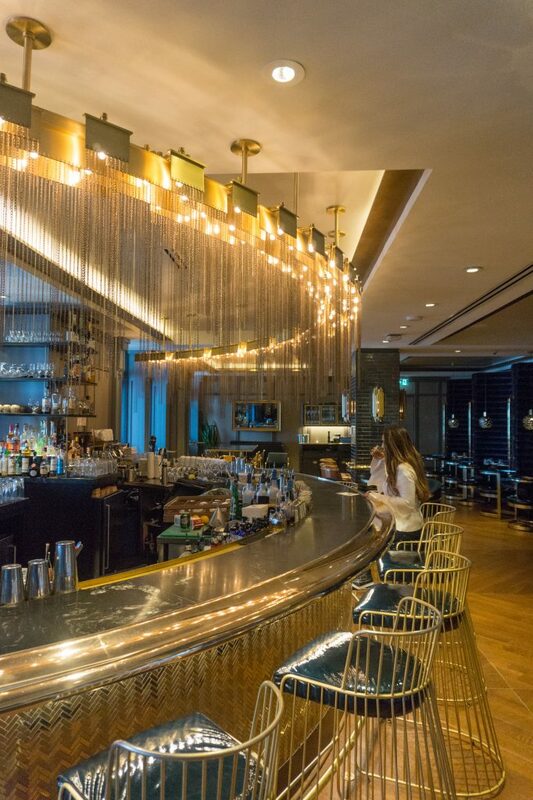 The design is elegant and meaningful, each bar and restaurant telling a different story. 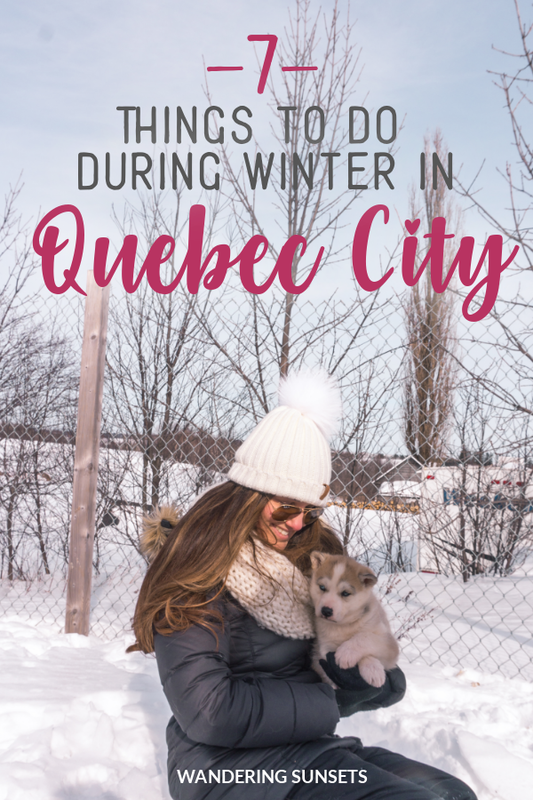 Dog Sledding is a quintessential winter activity in Quebec and an amazing opportunity to get up close and personal with huskies in a snowy Winter wonderland. 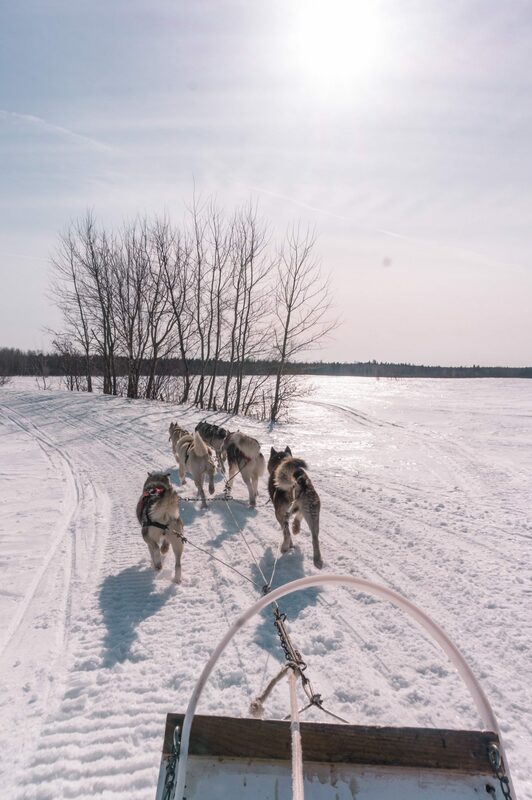 We went dog sledding with Expedition Mi-Loup and we had a wonderful time! 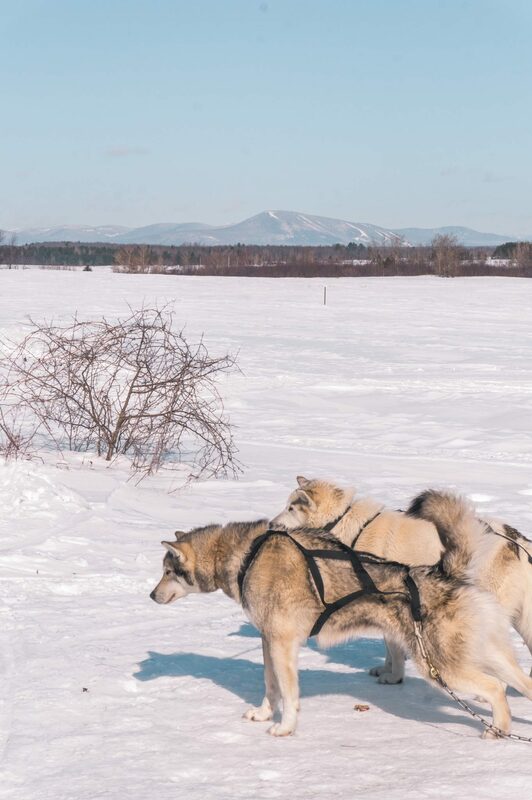 Matt only fell off the sleigh once … The dogs looked happy and comfortable, and the husky puppies were just adorable. 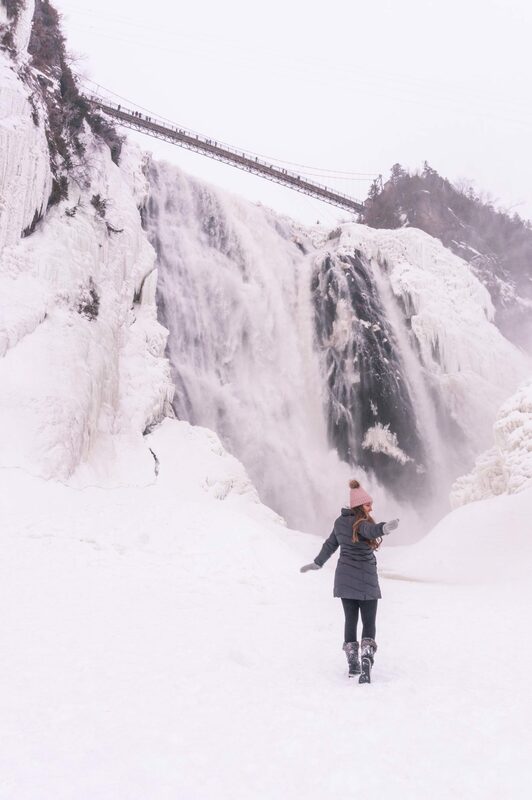 Put on LOTS of layers, snow boots and embark on a winter hike to Montmorency Falls. This place is straight out of Game of Thrones. The walk to the Falls is rather short but it can get windy as you are walking in a completely open space. Nevertheless, Montmorency Falls is a must see when visiting Quebec City in winter. 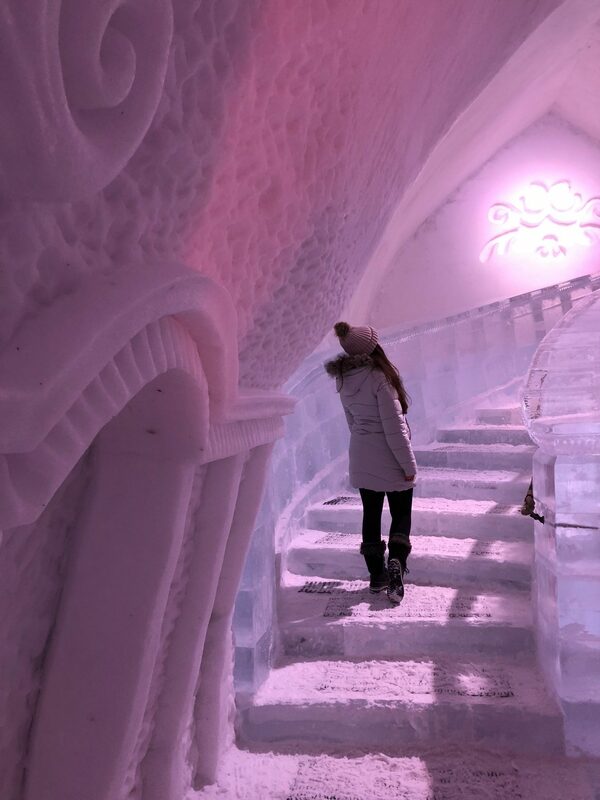 The Hôtel de Glace will transport you into a fascinating world entirely made of snow and ice. 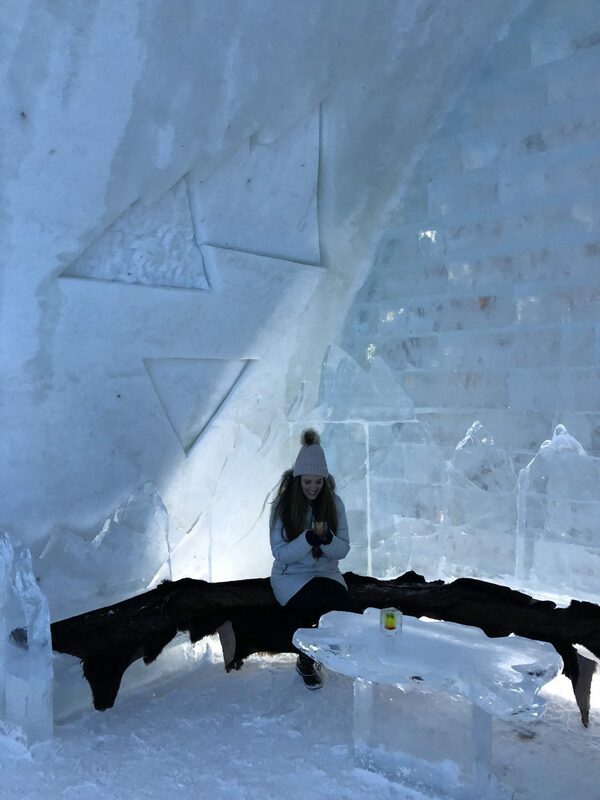 While you can stay overnight at the ice hotel, you can absolutely visit the hotel for an hour or two and enjoy a nice cocktail at the ice bar and have a great experience. 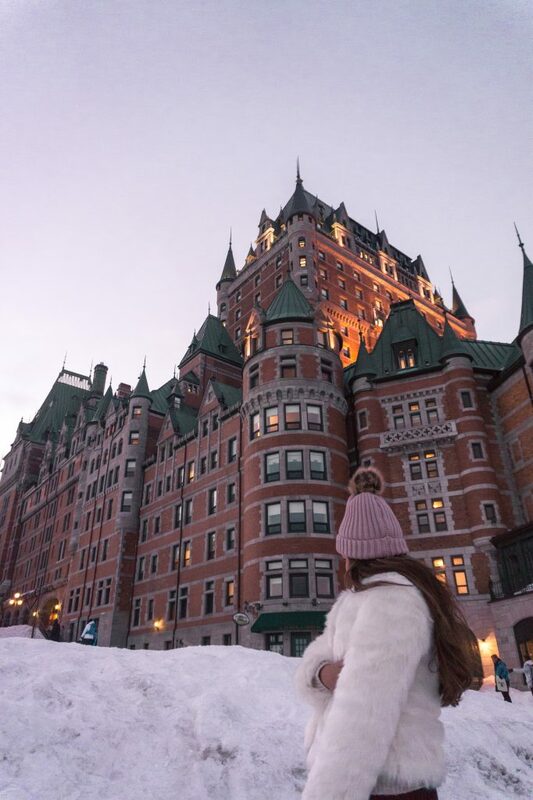 The architecture is so creative and unique, the Hôtel de Glace is simply a masterpiece and it is totally worth a visit. 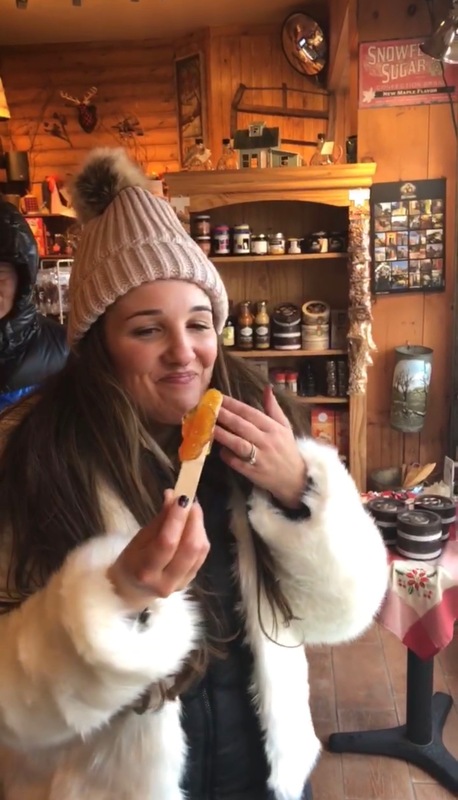 Maple taffy also called tire d’érable in French is a sugar candy made by boiling maple sap past the point where it would form maple syrup, but not long enough for it to become maple butter or maple sugar. 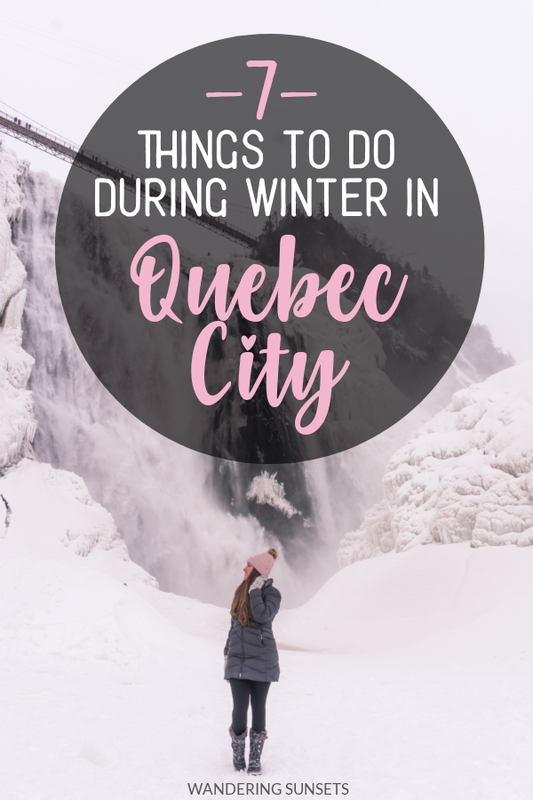 It’s one the most typical Quebec treat and you have to try it when visiting Quebec city in the winter. 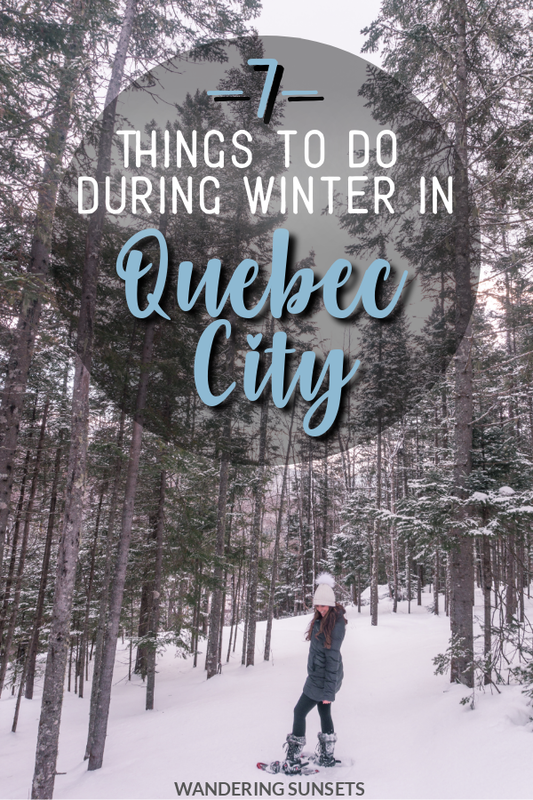 Quebec City in Winter is snowy and cold but this real life winter wonderland can only be enjoyed fully by spending a night outside the city. We stayed at the cutest bed and breakfast, Gite Aventure Nord Expe, and woke up to a true winter wonderland. The early morning sun was lighting up the snow like tiny little diamonds. 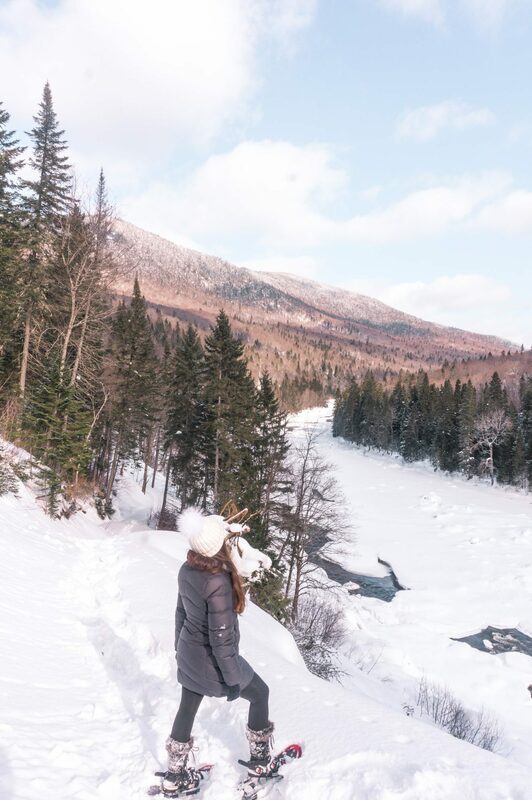 After eating a few flaky French croissants, we put on some snow shoes to hike down to the river. 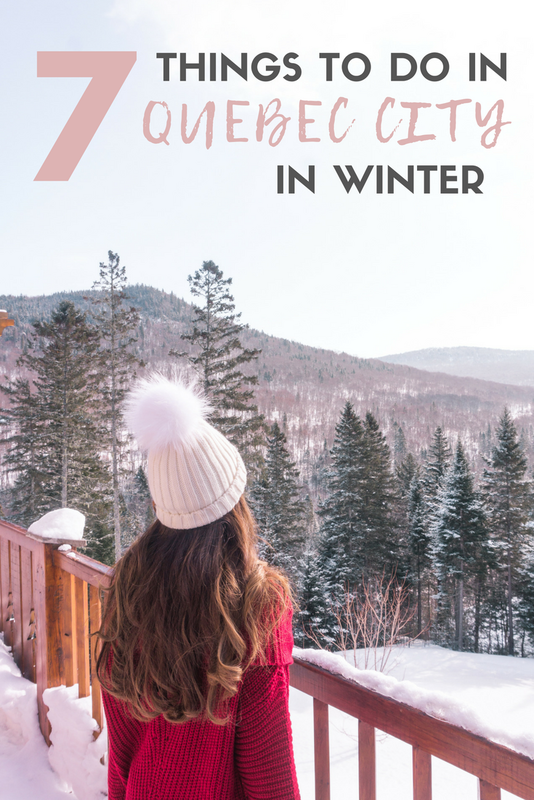 If you’ve never been snowshoeing, definitely give it a try next winter it’s so much fun! 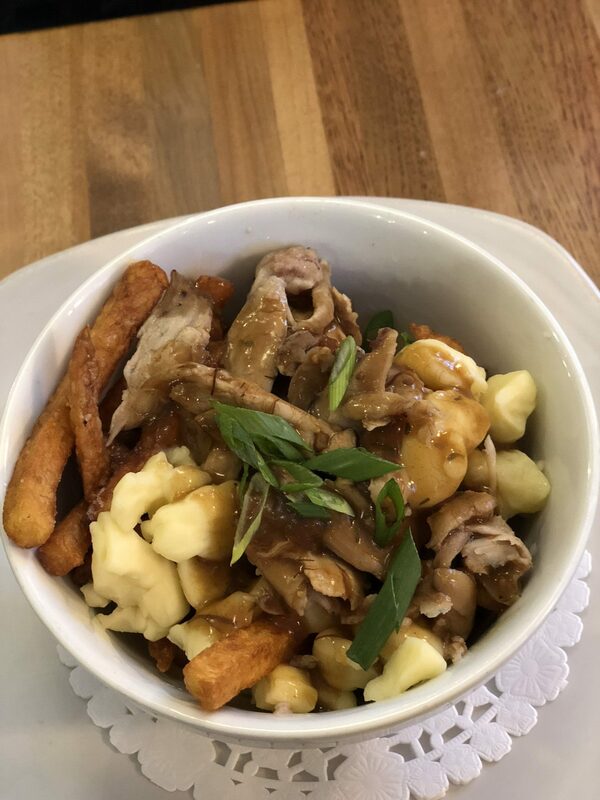 Food is a huge part of Quebec City in Winter, and nothing warms you up more than hot mulled wine and a hearty bowl of poutine. 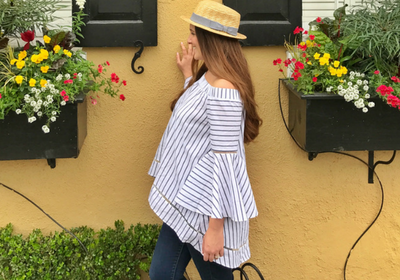 So take a walk around the old town, stumble upon an adorable restaurant and eat your heart out! 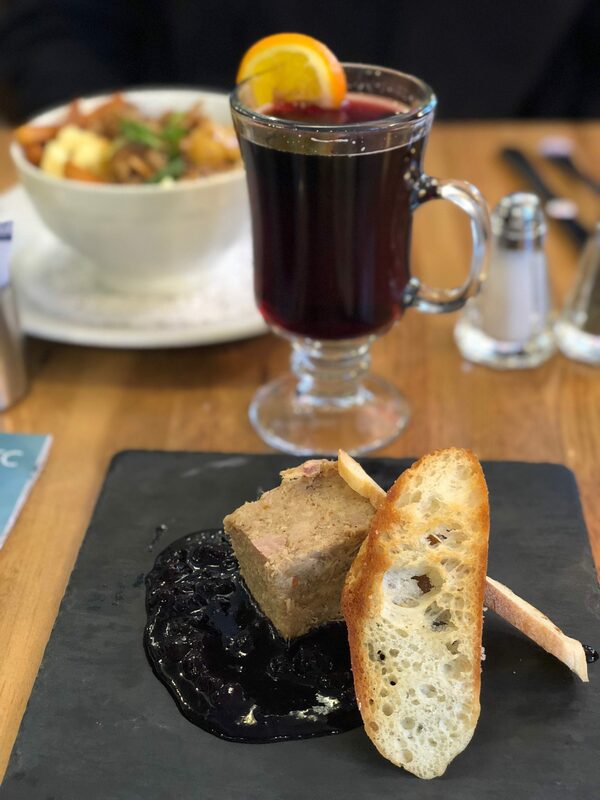 Quebec City is a foodie’s paradise so you can’t really go wrong.